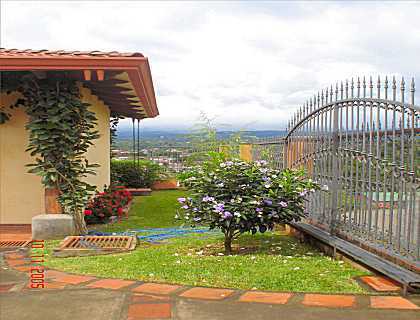 This marvelous colonial Spanish style home is located between La Garita and Alajuela Centre, with good access to the city, highway and airport, yet a very quiet location. 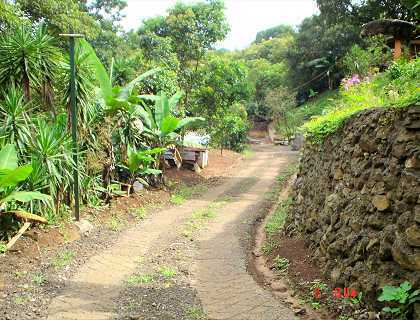 Almost an acre of land, divided in two lot-plans (one of the lots can be sold separate and has it’s own road-frontage). 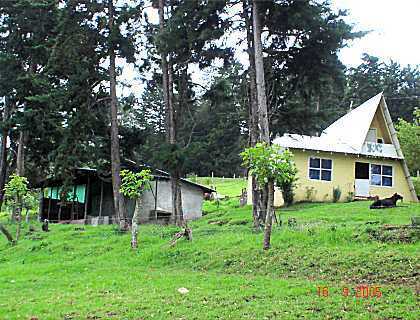 Half an acre with the house and entrance and the back-yard is a little less than half an acre, all flat with views and it’s own road-frontage. Excellent for a pool, tennis-court or a second house. The house measures 3,000 sqft. and consists of 3 bedrooms, 2 bathrooms, living with fireplace, kitchen, formal dining-area, maids room with bathroom, large laundry/storage room. 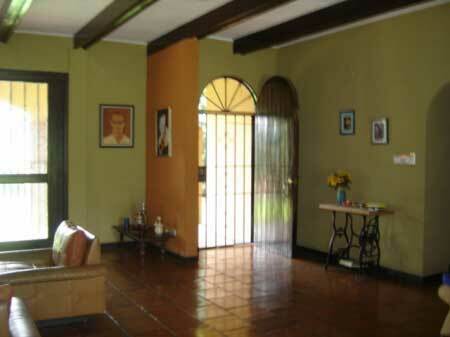 An expansive terrace covers the front of the house, overlooking the lush landscaped garden. The house has a telephone-line and has it’s own water-well.